How exciting! 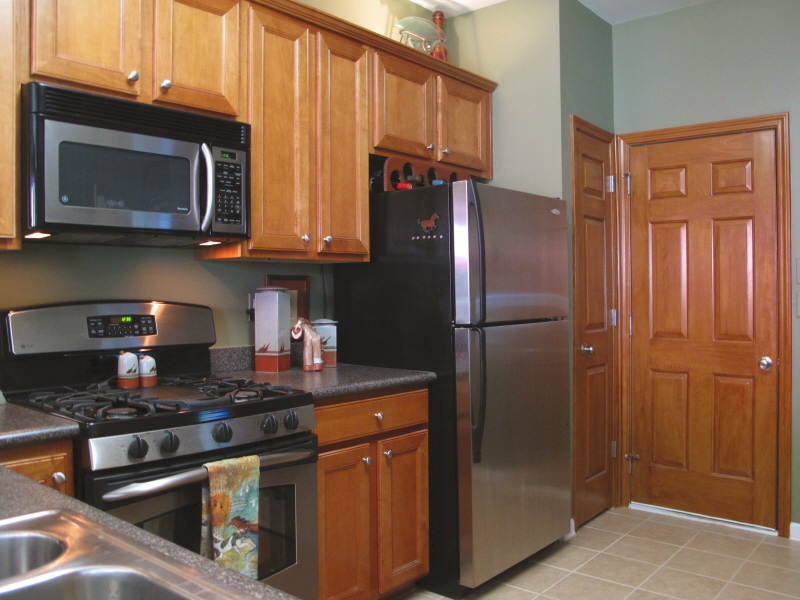 An investment was made to upgrade kitchen cabinets from white to wood. But one piece of the puzzle was missing. The doors to the pantry and entry to the garage remained white. This abruptly interrupted the visual flow of the richness of the new wood cabinetry. A gap of white remained as a daunting reminder of the past. 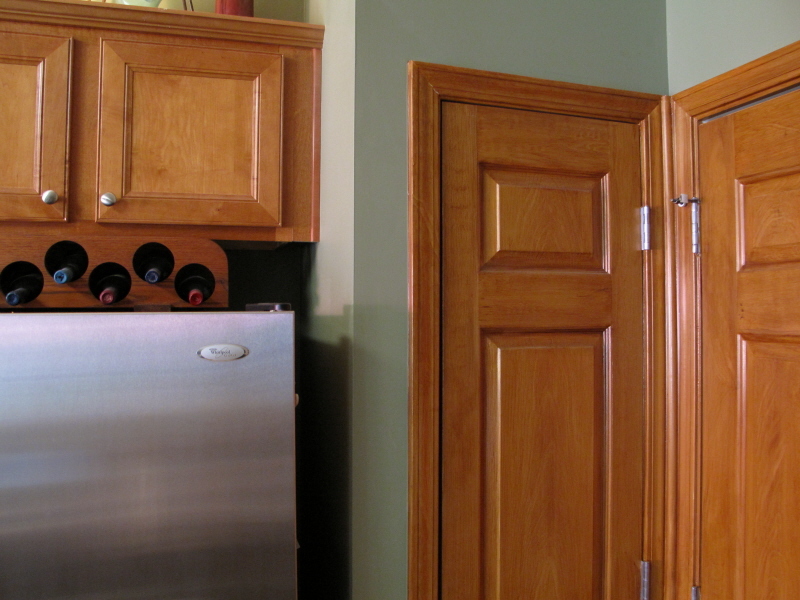 When remodeling a kitchen it is important to recognize that doors are visually a part of the cabinetry. One obvious solution is to have them painted to appear as if they are a part of the new wood in the space. This can be tricky. They are usually right next to the other cabinets. It requires a perfect match of both color as well as the grain. 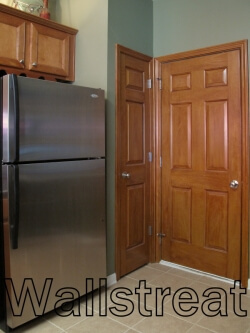 Even if actual wood doors are purchased, it may be a different wood species. The grain will be different and may not accept the stain the same as the cabinets. 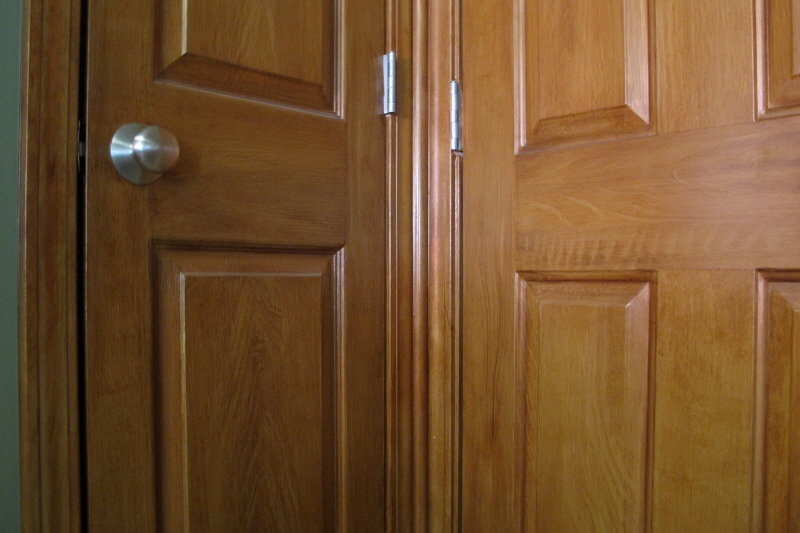 An additional challenge is that one of these doors is a simulated wood texture and the other is metal. Unless it is done well, the end result will be a “near miss”. A faux finish of precise graining on doors is an added detail that completes the beautiful and seamless line of exquisite wood cabinetry. Guests walk right by these doors never noticing that they are a painted finish rather than real wood! 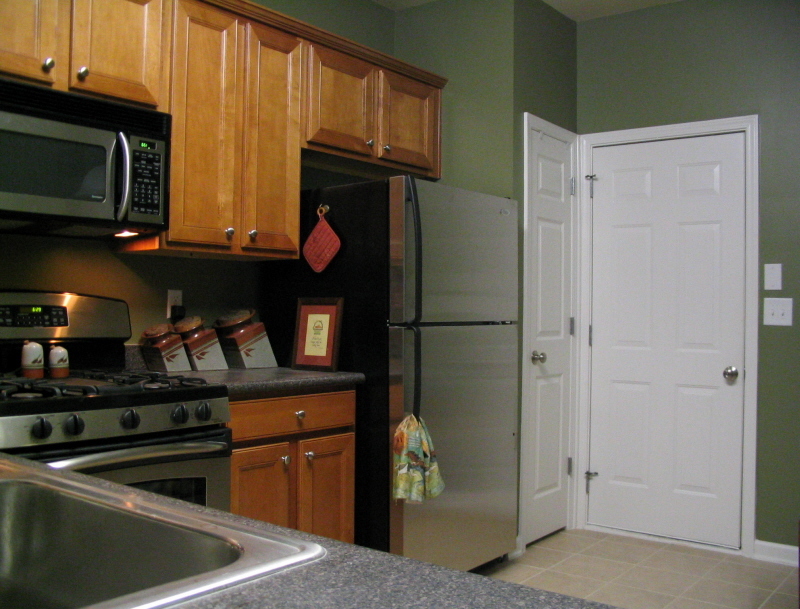 This is yet another example of attending to ALL of the details when upgrading or remodeling. 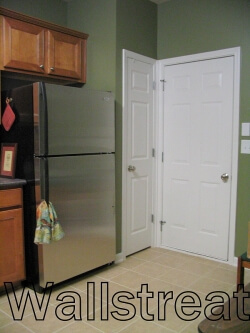 Do you have plain white doors in your kitchen? Filling in the blanks is essential to an end result that adds value to your home. Oh, I love that term – “filling in the blanks”…it’s perfect! Great job, Kass esp. on the doors that were different substrates. Beautiful befaux & after!